I don't know if many people here play RimWorld but in case you don't, it's a colony manager/simulator where you assist your pawns to create a brilliant base on an unknown rim-world. Your pawns arrive there by different scenarios but the main goal is always the same: survive long enough to research how to build your own spaceship and ride it back into space. All the while you're beset upon by opposing factions, mad animals and the world itself. Planets are randomly generated based on seed and each planet has hundreds of unique map tiles for you to settle in. 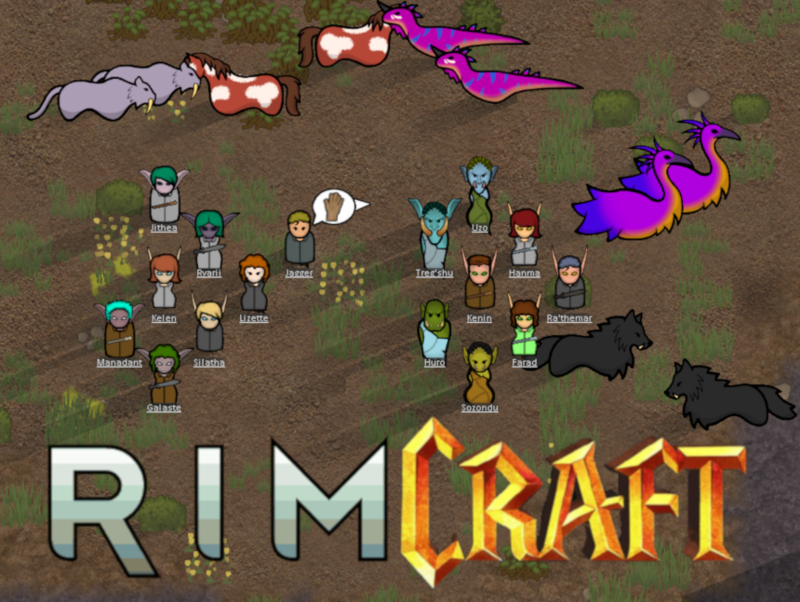 To the point, one modder has decided to introduce the races of World of Warcraft to RimWorld! It is largely work in progress with only a few races (night elf, blood elf, high elf and orc, along with some Azeroth-flavoured backstories for humans) implemented as yet, but they fully intend to add every main race, possibly extras such as the Scourge, armour and weaponry based on those from WoW and eventually some WoW beasts alongside. I have offered my hand in helping this mod to grow by supplying backstories for the new races and am even attempting to recreate some creatures in the RimWorld style. 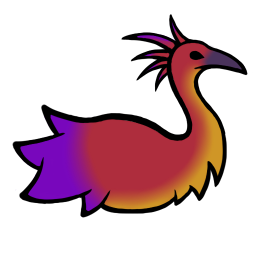 For my first attempt, have a red hawkstrider! We're focusing on racial mounts for the moment with my next project (I seem to have loads of those now...) being horses and, by extension, Quel'dorei steeds/unicorns. Do you do the people's models Vare? Only wondering because theres this weird thing the elf (Blood and High) ears do where when the actor turns to the side the far ear is the one showing and it should be the near ear instead. What I mean is when the people turn to look left or right the ear closest to the viewer is gone. I just looks funny to me, thought you should know. Great job on the mounts so far will these work with Giddy-up! Core and Giddy-Up! Add-on: Animal Saddles? I do not do the humanoids, no. There is a Discord link on the Steam page with a bug reporting channel if you'd like to post there, or on the Steam page itself. A screenshot would help too. Or if you'd rather not post there yourself I could do so for you, though the screenshot at least would still be helpful. As for the mounts, yes! They are going to be compatible with Giddy Up and I am currently designing saddles and armour for the different beasts. I'm not sure yet if it will be for Animal Saddles or Animal Gear however. At the same time they're currently not able to be pack animals, as I'm still working on pack textures and need to design them to work around the armour/saddles. Tarn: Once the latest update, which includes the beasts, is implemented I'll take a few shots for you! It should be sometime today or tomorrow. Here's the preview screenshot for the mod! Sorry for not posting any screenshots after all, I've been rather busy with the drawing and stuff. I'll be starting a new playthrough once the latest update goes live in roughly 3 hours-ish so hopefully I'll remember to take a few snaps as I go along. This new update brings in the Forsaken and their skeletal horse mounts, activates all RimCraft animals as pack animals (finally!) and various minor tweaks (pawns should now sit properly on raptors' backs rather than the base of the tail for instance). We have, however, realised that this mod is going to get very big very quickly so we're looking for some feedback. We've already decided to make the mod modular (heh), by which I mean it will be split into various, related sub mods. For example the animals will be their own mod for those who want extra animal variety without the rest of the WoW content. What we'd like to know is what makes sense as separate mods and what should remain in the core RimCraft. The current thought is to make sub mods themed around the WoW expacs and want to know if the different races should be added accordingly (BElves and Dreanai come with TBC mod, Worgen and Goblins with Cata mod, Pandaren with Mists mod) or if all playable races, with the exception of the allied races who will have their own mod, be core content. I like the rare idea, but why not add more than SBs, like rare lions (black and white) rare wolves (OCJ) unique skin rares. While that's a nice idea I have a feeling that what us hunter nerds know to be unique pet skins could be "just another colour" to those not as dedicated as us, whereas a glowing blue wolf (potentially with lightning, depends what coding we can figure out) most definitely would stand out. Add to that, basic beasts/wildlife aren't a priority right now as we're focusing on faction-specific mounts first. 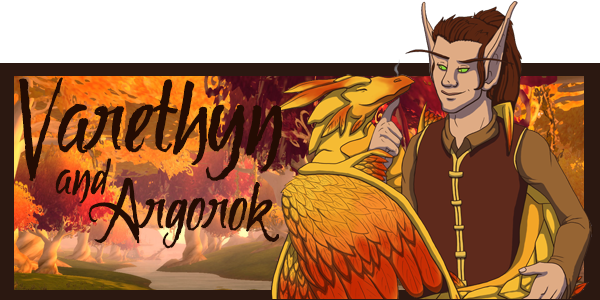 Because of this I've already added OCJ's colouration based on WoW mount colours. The colours themselves will definitely be available once the basic wildlife is introduced but I wouldn't count on them becoming rare variants. The best I can offer is that we've figured out how Animal Variety Coats works and can have the same pawntype spawn in different colours and some animals have a -lot- of skins to pick from.